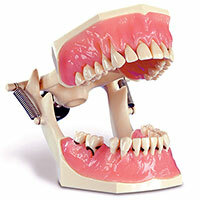 Known throughout the world for its detail and realism, the Frasaco AG-3 IB provides an excellent platform for teaching and learning fundamentals of dentistry. 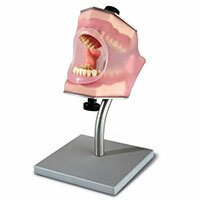 For the best in simulation, consider the durable Frasaco P-6/3 series mannequins, with your choice of mounting option. Widely used in the study of periodontics, as well as dental hygiene, the A-PZ DA features realistic examples of periodontosis in the early to advanced stages. 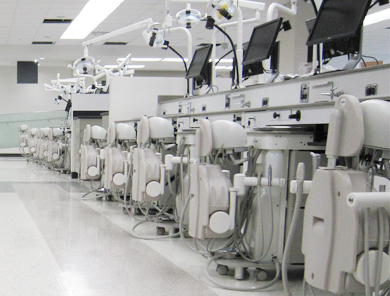 Frasaco offers the most comprehensive range of dental simulators, study models and training models for hands-on practice in pre-clinical and post-graduate students' laboratories in dental schools. 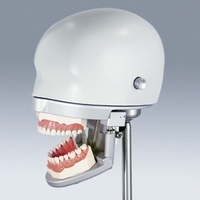 Known throughout the world as the leader in dental simulation, Frasaco practice models and demonstration models are scrupulously designed to the highest detail for optimum realism; advanced training systems are engineered for full functionality and years of use. Frasaco features a line of standard and specialty models, preps, and related items for every dental discipline, including operative/restorative, hygiene, periodontics, prosthodontics, endodontics, pediatrics, orthodontics, implants and oral surgery, and anesthesia. In addition, actual cases and treatments can be simulated in the clinic through the use of any of the Frasaco mannequin simulation systems that are available. Thank you for your interest in Frasaco. As you browse our site, please feel free to contact us by completing the Customer Contact Form, or simply call us toll-free at 1-800-959-9505 to speak with a Frasaco sales representative. Frasaco USA is distributed by Practicon, Inc.